You are getting 500 error while saving the email template because it might happen that the template is not compatible with EasySendy Drip (or EasySendy Pro) system. The compatibility issue can be any line of HTML code, CSS or formatting of a template which has not been done properly. Other issue might happen that your email template is too big to save inside EasySendy Drip (or EasySendy Pro). Majority of this issue happen because of incompatibility of email template. EasySendy Drip (or EasySendy Pro) template management system donot allow saving of broken email template codes, templates having CSS issues and other coding issues which may impact email delivery. There may be an issue with your web browser ( especially if you have add-on / plugin extension installed ), try updating email template ( or building email campaign ) from different web browser ( or in incognito mode ). 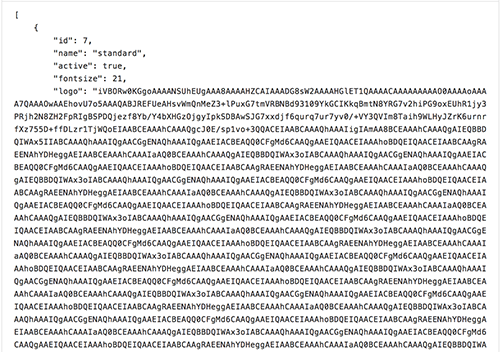 Your email template has images in base 64 format? Have a look at this image and confirm if your email template has these codes? If this is the case, you will get 500 error and to resolve this, use different web browser ( or in incognito mode ). Or, you need work with your email template designer to fix this issue. Stamplia – Signup and get 5 Free templates with drag and drop editor. Beefree – Email drag and drop responsive editor. You can find Email Templates for Email Marketing here too.